New Delhi: Considering the increasing rate of suicides and depression among medical practitioners, the Indian Medical Association has formed a national committee for emotional health and well-being of students and doctors in the country. The committee will function under the leadership of IMA national president Ravi Wankhedkar. “Doctors are becoming an endangered species. In the last few years, the stress of students and practicing doctors has taken a serious turn,” Wankhedkar said. “Doctors are surrounded day and night by disease, distress, dangerous infections, demands from patients and death. This often leads to burn-outs, depression, mental health challenges and even suicides,” he said. IMA has declared the theme for Doctors’ Day as ‘zero tolerance to the violence against healthcare professionals & clinical establishments’. IMA is also observing a ‘safe fraternity week’ from July 1 to 8. According to the WHO, suicide is recognised as a public health priority. Annually more than 8 lakh people with disturbed mental health commit suicide.Undetected, under-treated or untreated depression underlies most suicide attempts, which is preventable. Suicide is the second leading cause of death among teenagers and young adults (15-29 years of age). In India, neuro-psychiatric disorders contribute to 11.6 per cent of the global mental health disease burden. Medical students and doctors have a significantly higher suicide rate than the general population. Presently, this is at 28 to 40 suicides per 1,00,000, the IMA said. 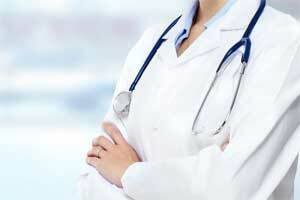 “Practicing doctors are facing numerous issues in their daily routine. Government red tapes, government apathy towards healthcare sector, undue expectations of people leading to violence are making doctors’ lives miserable. While IMA fights for the cause of fraternity, addressing the mental health of our doctors and medical students becomes most important,” IMA secretary general R N Tandon said. Nilima Kadambi, chairperson of the new IMA committee, said: “Professional support systems, helplines and counselling centres will be promoted by IMA to help medical students and doctors who need this assistance. The unique IMA mission for emotional healing and mental health of practicing doctors and students will create the positive mindset by reducing stress levels among medicos. Working hours should be strictly adhered.Compulsary weekend offs.no contact to patients after working hours. High risk allowance. Compulsory health check up. Maximum number of patients to be consulted should be defined. Recreation room including gym should be a part of hospital to reduce stress. What is needed is the practical implementation of this plan. In addition of above suggestive measures, we need a IMA house at every District level with indoor game facilities. We need to organize small level get together with no academics or CME. Let these fortnightly get together be the epicentre of fun, games, informal stage performances, informal catwalks etc. Let the doctors join hand together and help their colleagues in personal, social and professional life.